Are you looking for an outstanding construction lift? 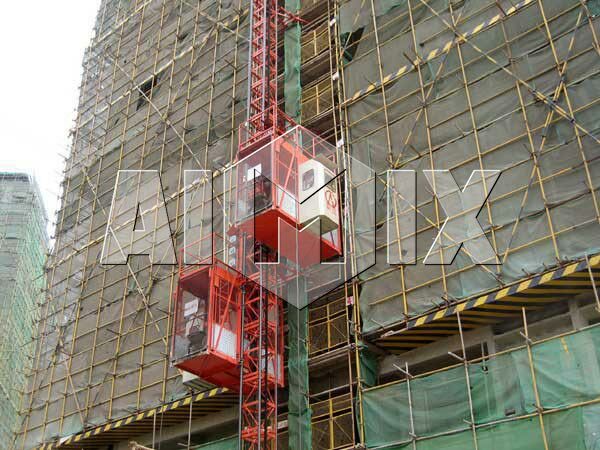 AIMIX GROUP brand SC series construction lift is provide with reliable electric and mechanical interlocking safety anti dropping safety device, sensitive and reliable overload protection device and advanced computerized automatic control device, which is your best choice as a good helper like tower crane in construction projects. 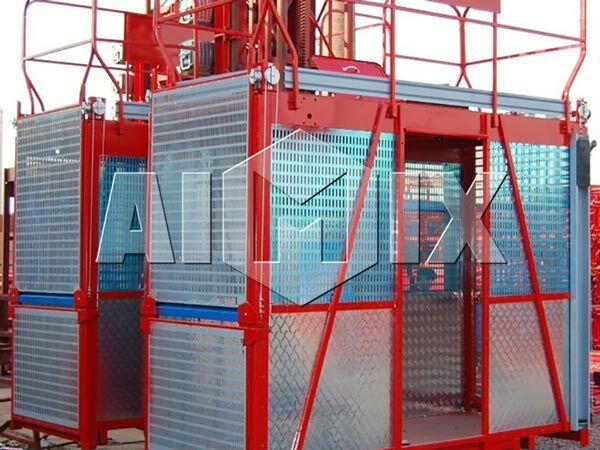 We Aimix Group have many models of construction lifts of SC100, SC100/100, sC200 and Sc200/200 and welcome to our leading enterprise of china construction machinery equipment. AIMIX GROUP is founded in 1982 and located in the west of Xingyang City, to the east of Century Square, Shangjie District which is considered to be the home to construction machinery in China. AIMIX is mainly offer many construction equipment for global users. As the leading enterprise of China construction equipment, AIMIX has got the certification of CE and ISO0 9001:2000, and it also has been a verified supplier by BV and Alibaba. At present, our Our construction lift has received highly accepted by users from Botswana, Australia, Libya, Zambia, Nigeria, Morocco, Yemen, American and other countries. Our construction lift has reliable and high quality. As a good construction machinery, the main structure use Q345B steel, mast produced by automatic stamping production line, adopts argon+co2 protection welding mixture technology. Welding appearance is beautiful and reliable quality, improve the service life of the equipment complete with imported original frequency conversion speed governing system, high quality motor and reducer, the lifting speed is 0~36m/min, satisfying the requirements of all users. Our construction lift has simple operation and easy maintenance and disassembly. Our construction lift have a operating room on one side of the cage, and users can operate all the switches in the operating room. Our construction lift are easy to install and disassemble, and parts are easy to replace. Our construction lift has lightweight structure and portable movement. It consists of guide rall bracket, derrick, drive the car, cable pulley, outside the fence, power box, cable drum, cage, frequency control box and mast tie and it has small lightweight like a mini cement mixer, which facilitates users to move it to other concrete construction projects. Our construction lift is smooth, comfortable and safe. 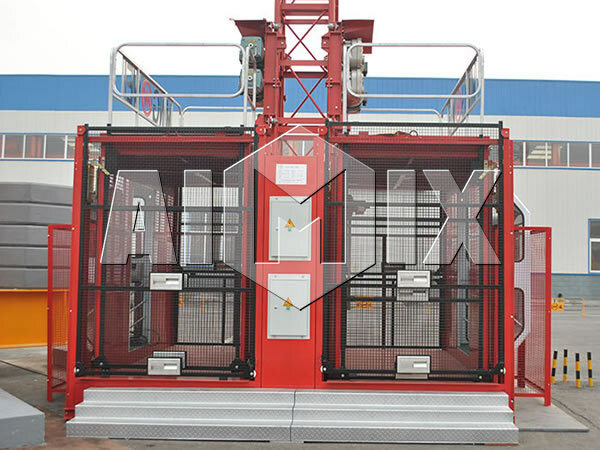 Our construction lift put the drive unit on the cage, which increases the bearing space and makes the drive more stable to ensure a comfortable and spacious environment for the construction operator. Our construction lift is equipped with an installer, which makes reliability of our construction lift is occupied the first place in other construction lifts. 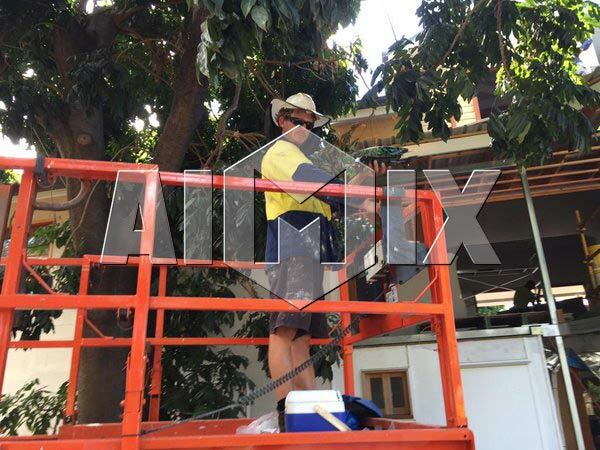 Our construction lift has various forms and brand protection. Our construction lift can be composed of various forms to meet the different needs of different users. Our construction lift uses imported originals, which has good quality and long service life.